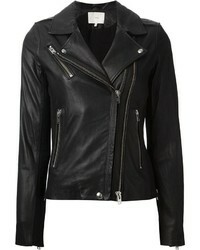 Y.a.s Leather Jacket With Borg Collar $388 Free US Shipping! Blank NYC Classic Biker Jacket $90 Free US Shipping! Reclaimed Vintage Revived Leather Biker Jacket $194 Free US Shipping! Native Rose Faux Leather Biker Jacket With Rainbow Sunshine Slogan $116 Free US Shipping! Noisy May Leather Look Biker Jacket $60 Free US Shipping! 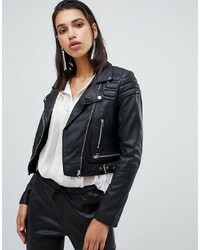 Vero Moda Tall Leather Look Biker Jacket $62 Free US Shipping! 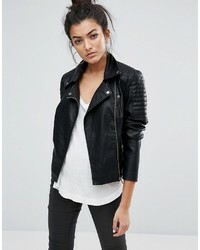 Y.A.S Petite Leather Biker Jacket $181 Free US Shipping! 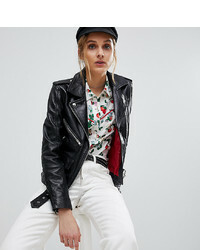 Asos Ultimate Leather Biker Jacket With Diamond Quilting And Stud Detail $79 $158 Free US Shipping! Warehouse Biker Jacket In Faux Leather In Black $77 Free US Shipping! Goosecraft Cropped Leather Biker Jacket $298 Free US Shipping! 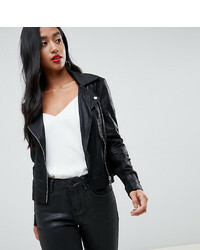 BOSS Casual Collarless Leather Jacket $517 Free US Shipping! Goosecraft Leather Biker Jacket With Removable Hood $336 Free US Shipping!